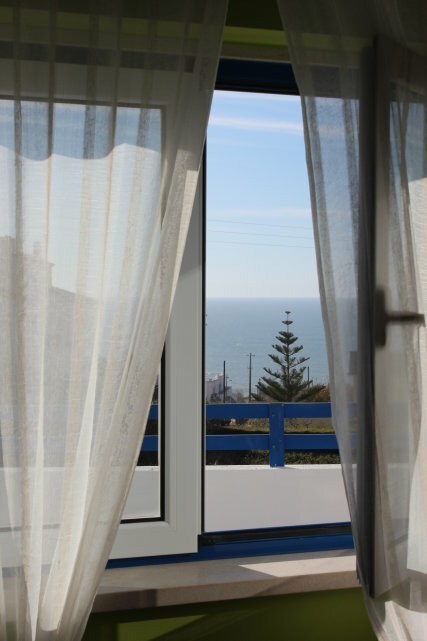 "Clean bright room lovely staff attentive..."
Ericeira Chill Hill Hostel & Private Rooms – "Sea Food House" was open on February 2015, and is part of the growth of the project Chill Hill hostels in Ericeira. It´s a place ideal for relax and where you can see great’s sunsets in the afternoon, to stay reading a book near the swimming pool, or to take a drink and talking with other customers. All of our rooms and bed dorms have a balcony or a window and face the waterfront. Surf lessons, guiding & equipment is all available on site. Yoga lessons and massages are also available on site. 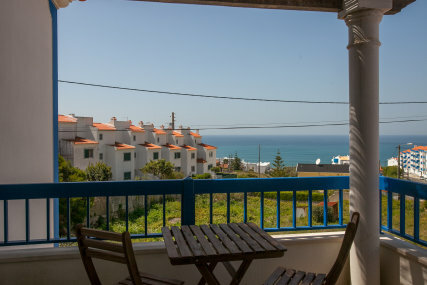 Ericeira Chill Hill Hostel & Private Rooms is located to the South Beach and Foz do Lizandro Beach (5 minutes walking by foot) and near to the center of Ericeira village where you can find many restaurants with Portuguese food or international food and many pubs. In the night if you prefer to relax you can stay with others customers at the terrace and make a barbecue. If you prefer to go to the center, 5 minutes walking, you can find many people from all over the word, and much animation. Extra bed - 20€night/person (only for two private rooms: Goose Barnacle; Sea Urchin). Bed dorm room – ground zero: 6 bed shared dorm/shared bathroom with sea view. 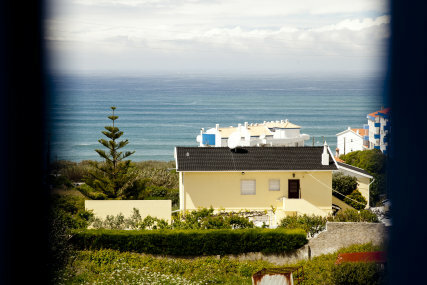 Ericeira is the Meca of portuguese surf and is the only World Surfing Reserve in all Europe and the second in all world. Here, you can find several spots wiht waves for the differents levels. With our Surf School - WE SURF SCHOOL - you can have an unforgetable experience. We have all levels and also equipment for rental. We offers surf lessons for kids aged 5-17. Each surf lesson is around 2h per session and have all equipment included (wetsuit, board and botiies). If you stay in our accommodation you have transfers for the beach for free price. Our surf lessons are around 2h per session and have all equipment inclued (wetsuit, board and botties). Many of our guests are absolutely beginners, and for that you stay in good company. The ratio for each surf lesson is around 1:8. Theoretical and practical surf lessons. The surf teachers are graduate. if you wish you can have a surf instructor only for you. If you want to have a surf guide, talk with us. I´m a life lover and I like very much to travel! So that´s why I created Chill Hill, for surfers and life lovers, and I want to offer a maximum of comfort to make you feel just like at home during your holiday stay on the beach. Kick back, relax & let your soul fly!